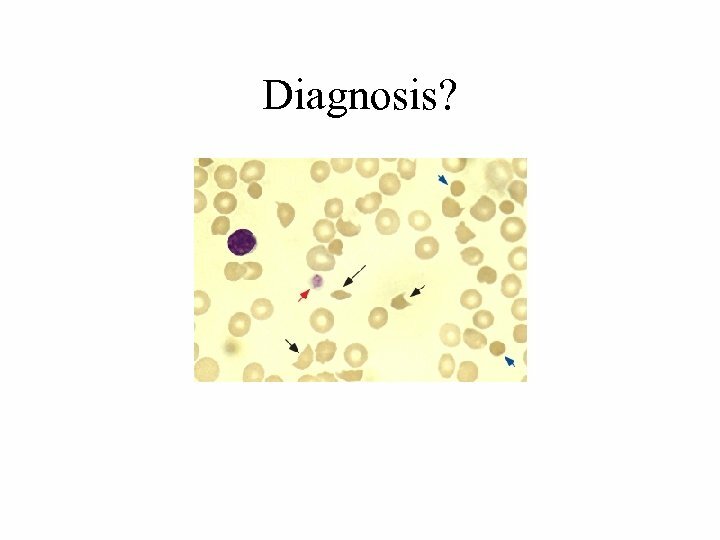 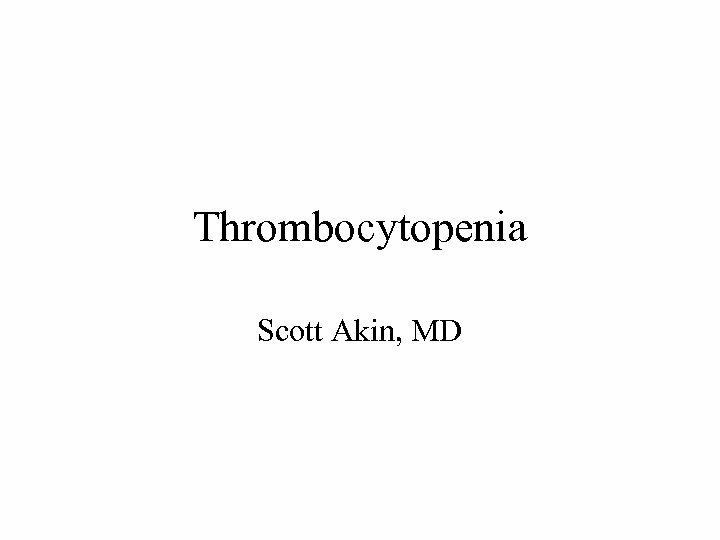 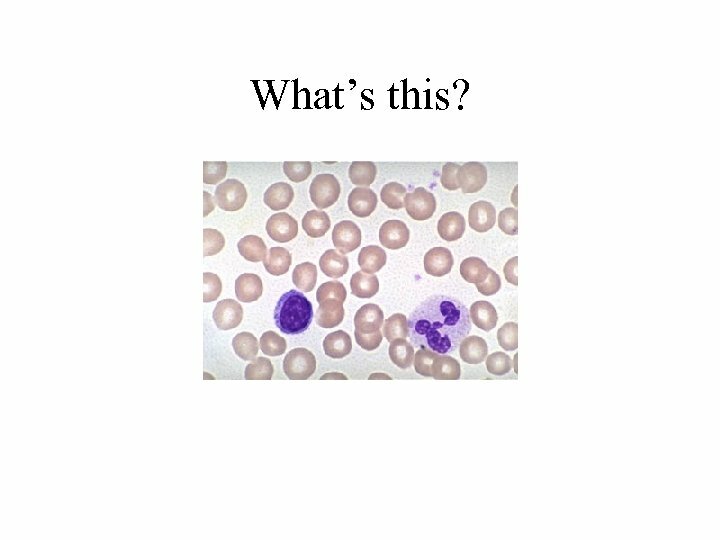 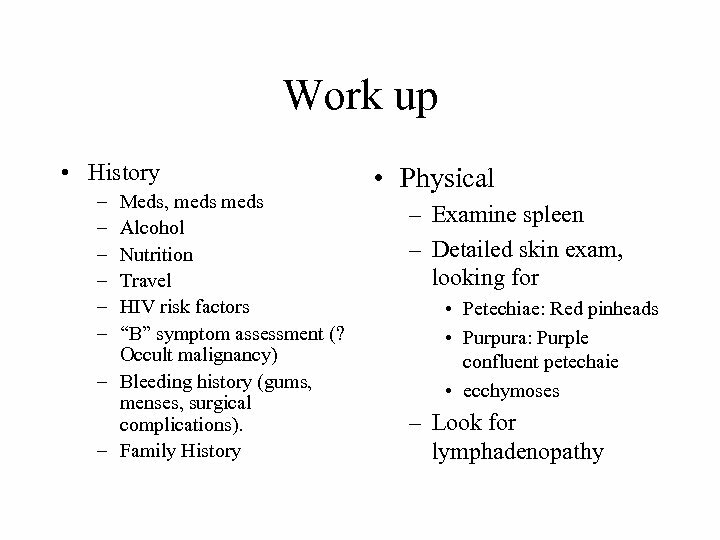 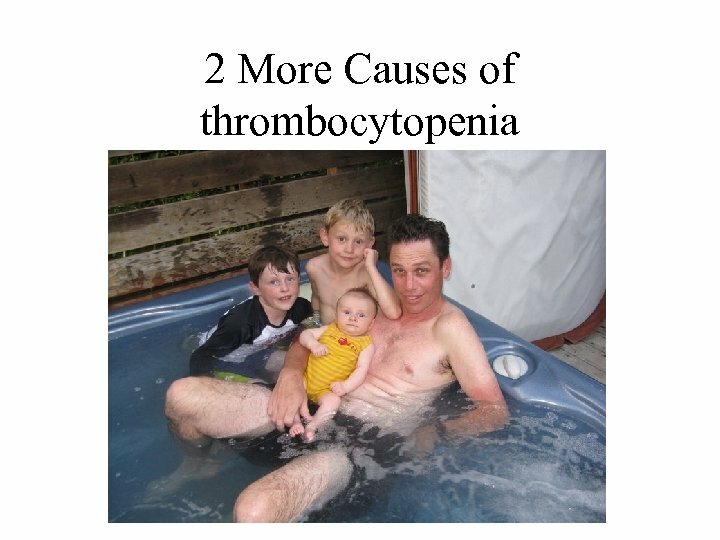 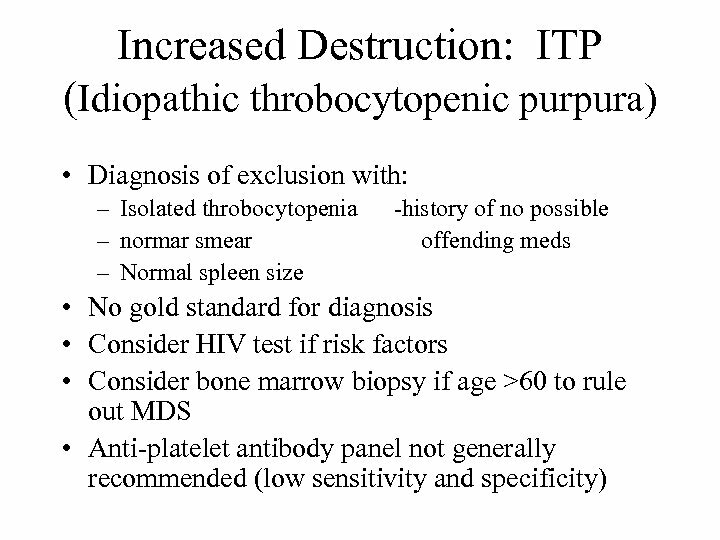 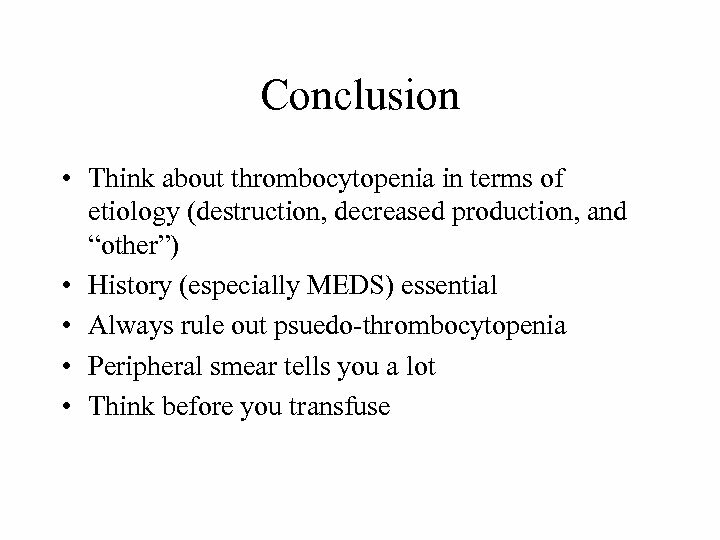 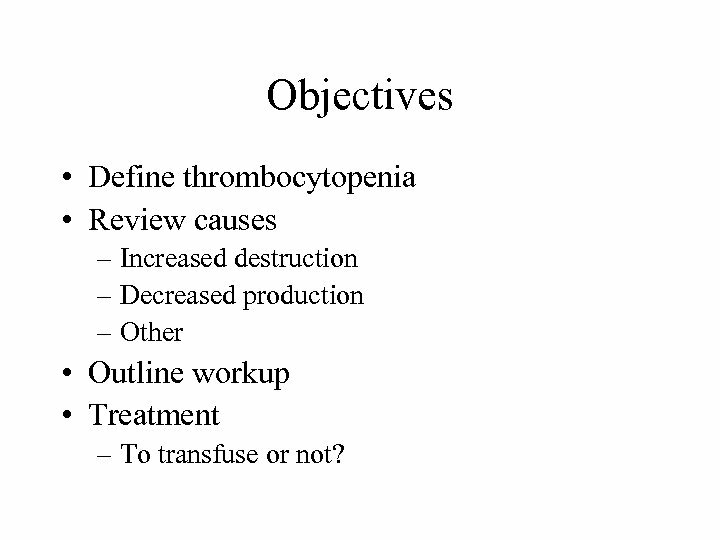 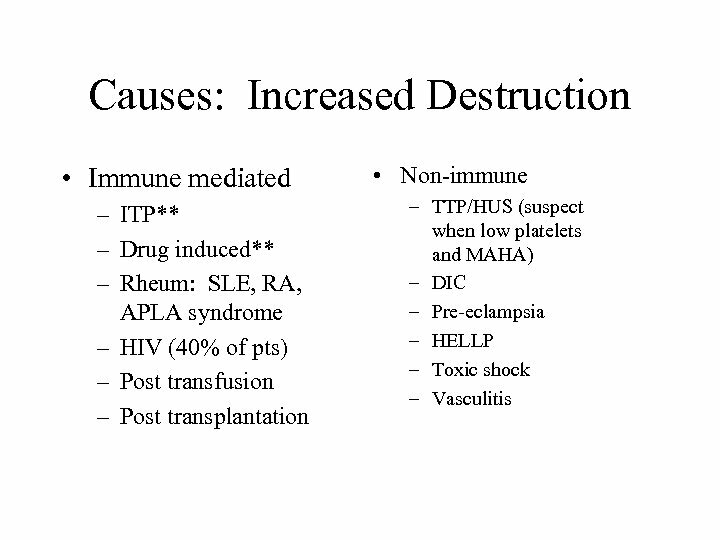 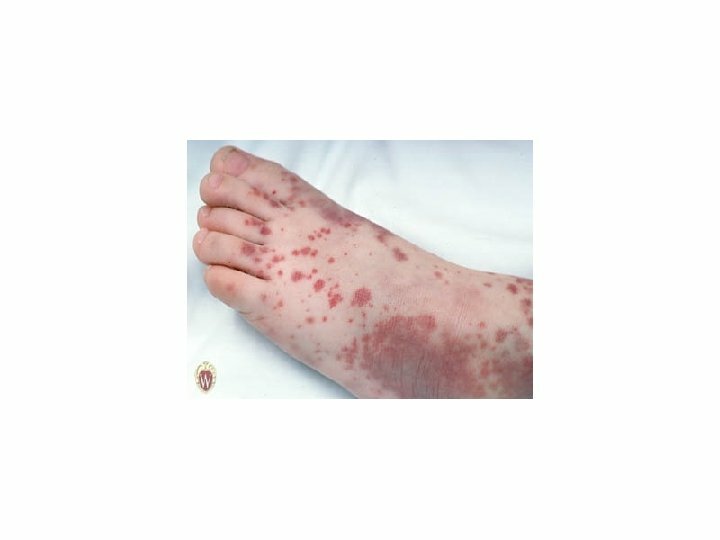 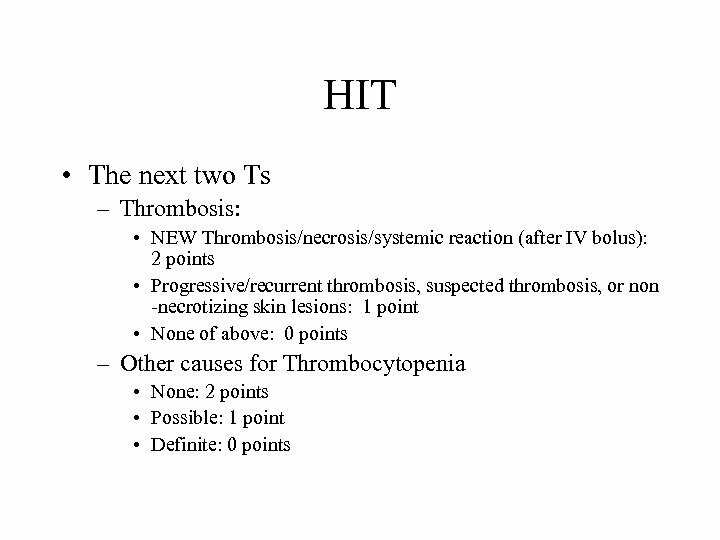 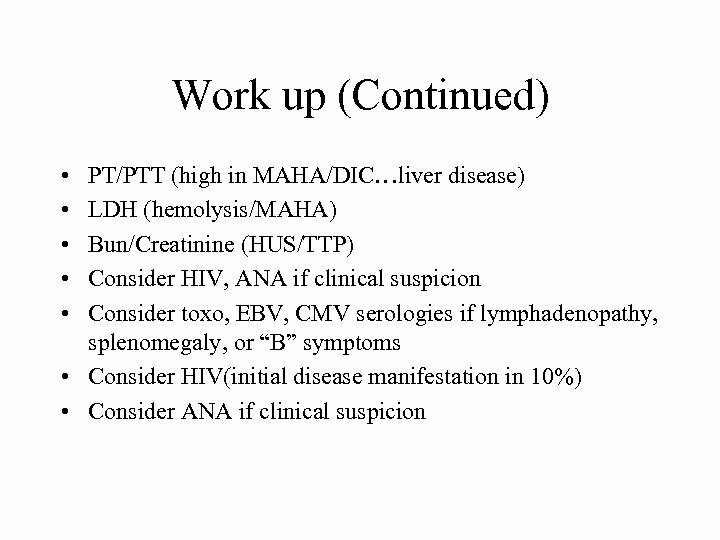 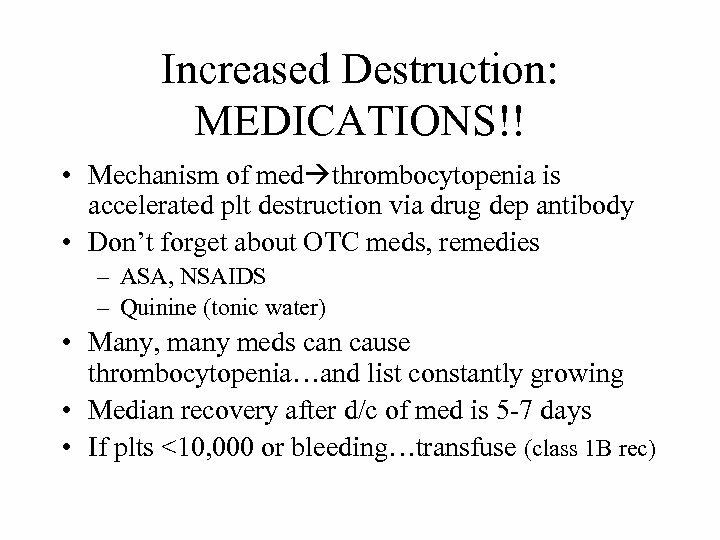 Objectives • Define thrombocytopenia • Review causes – Increased destruction – Decreased production – Other • Outline workup • Treatment – To transfuse or not? 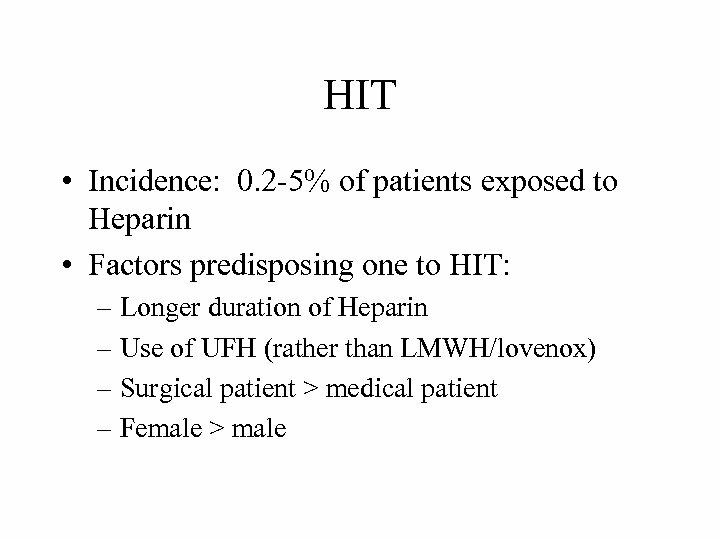 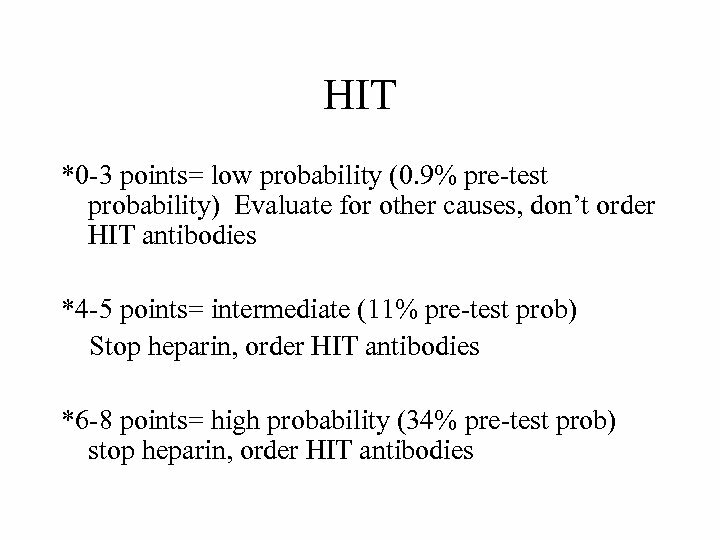 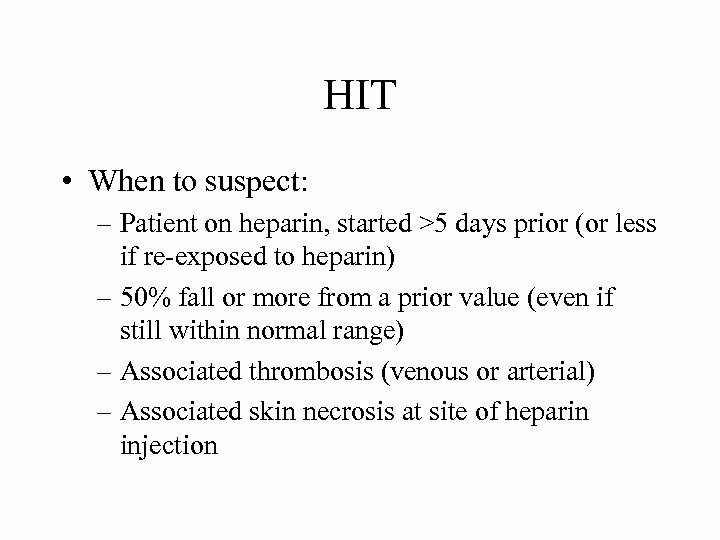 HIT Treatment • • • Stop heparin. 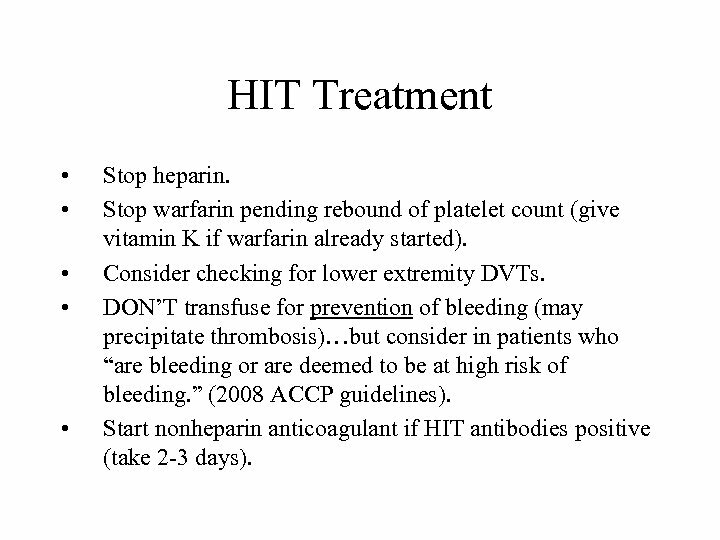 Stop warfarin pending rebound of platelet count (give vitamin K if warfarin already started). 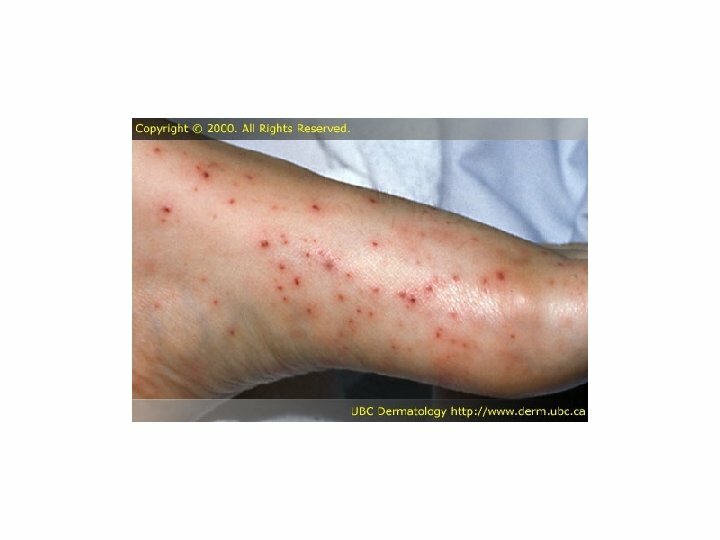 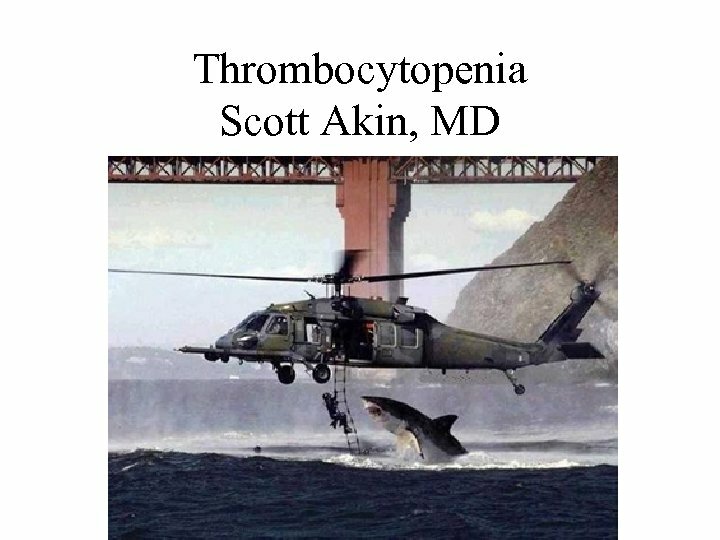 Consider checking for lower extremity DVTs. 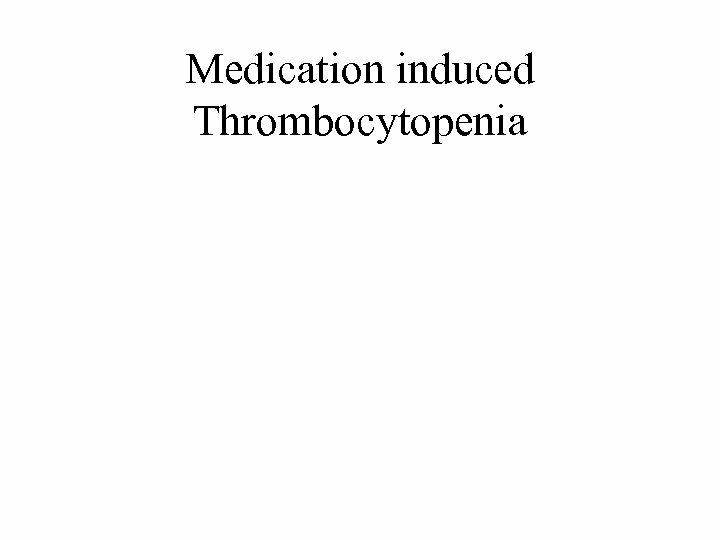 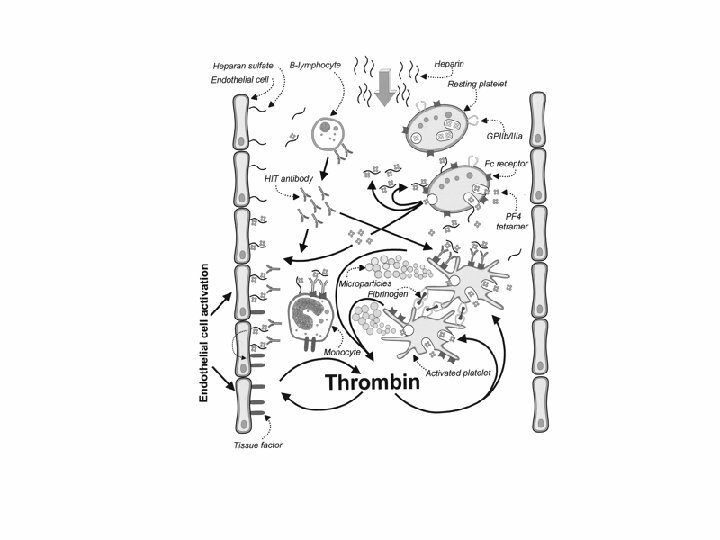 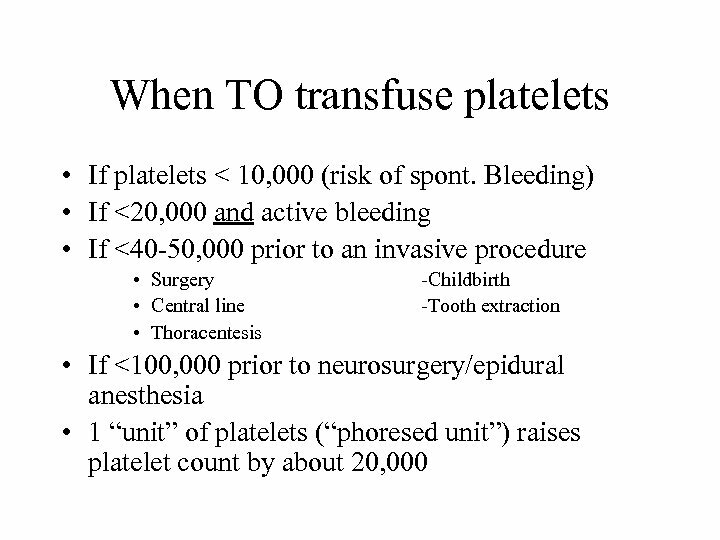 DON’T transfuse for prevention of bleeding (may precipitate thrombosis)…but consider in patients who “are bleeding or are deemed to be at high risk of bleeding. 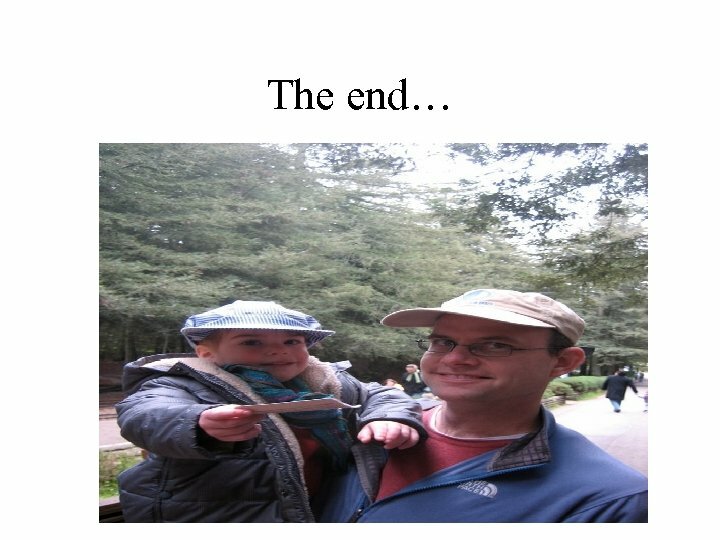 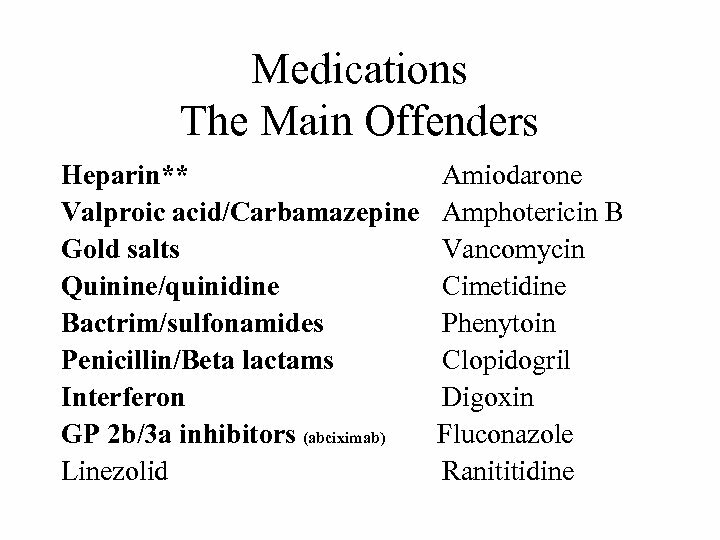 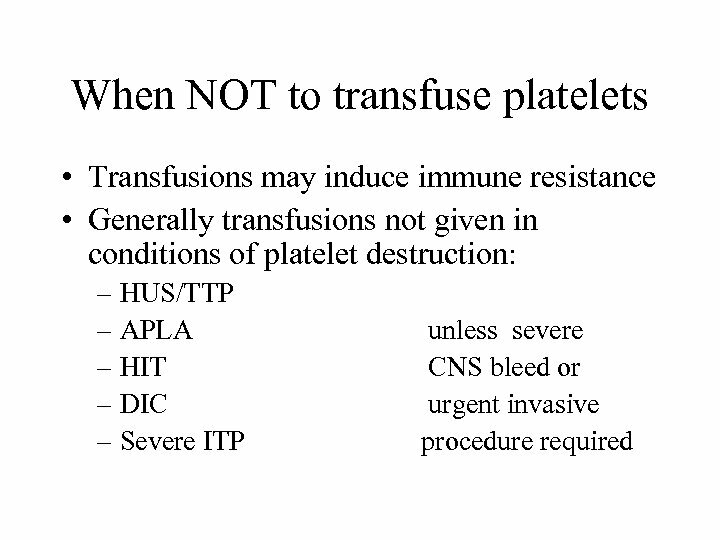 ” (2008 ACCP guidelines). 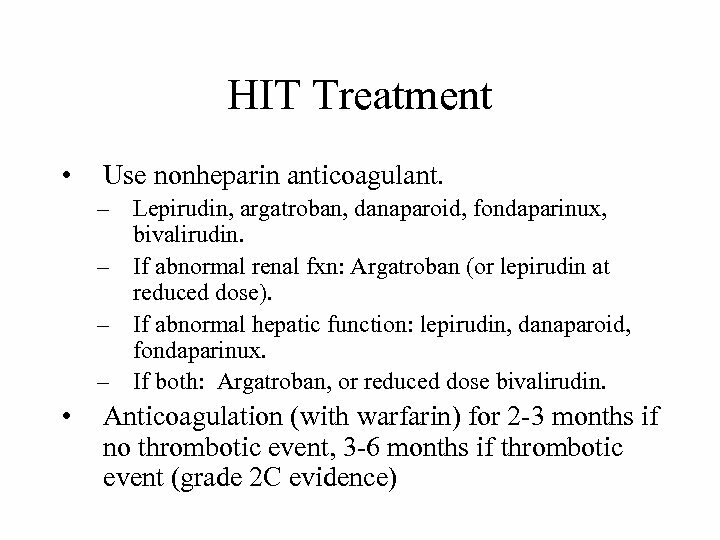 Start nonheparin anticoagulant if HIT antibodies positive (take 2 -3 days). 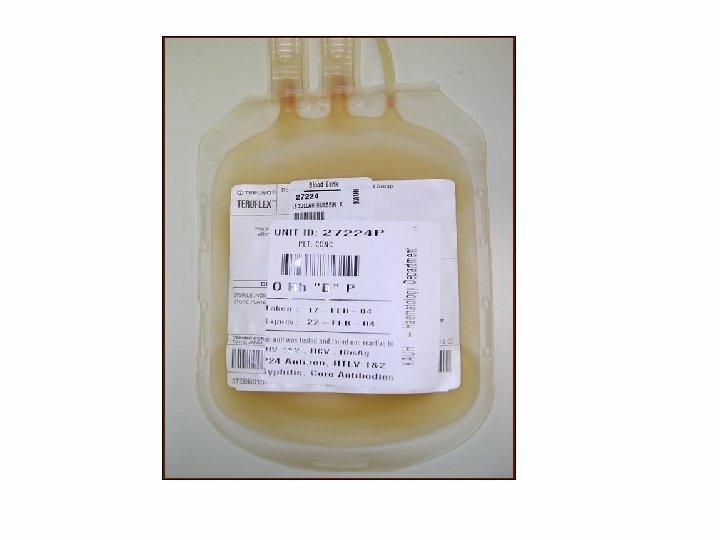 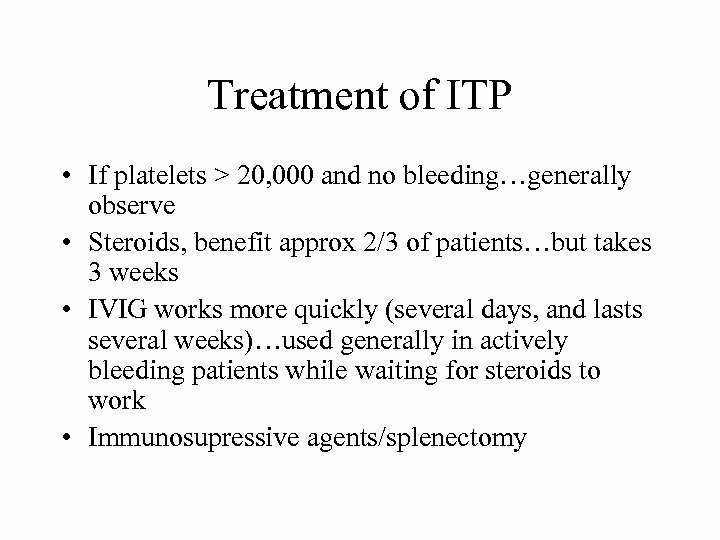 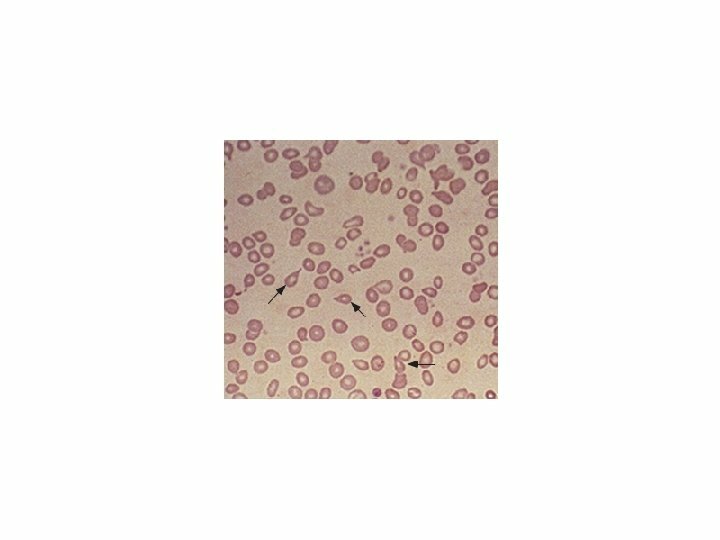 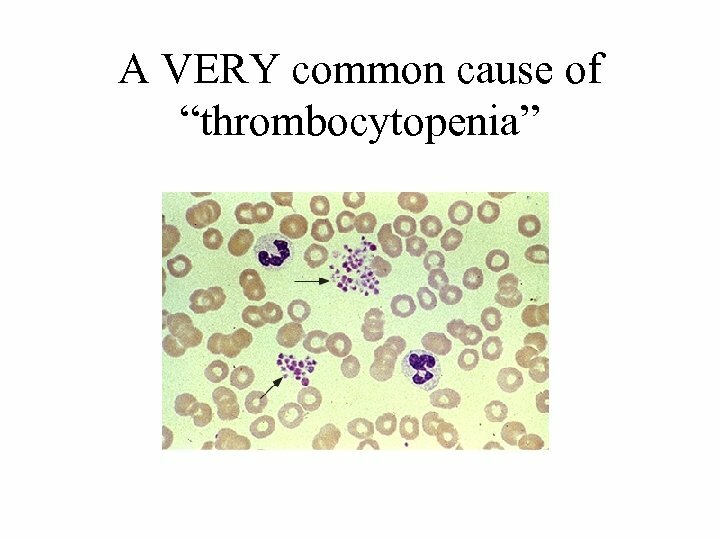 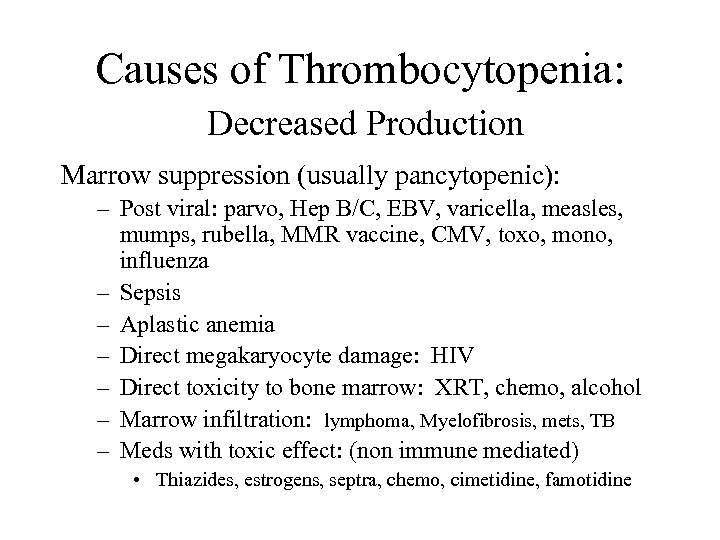 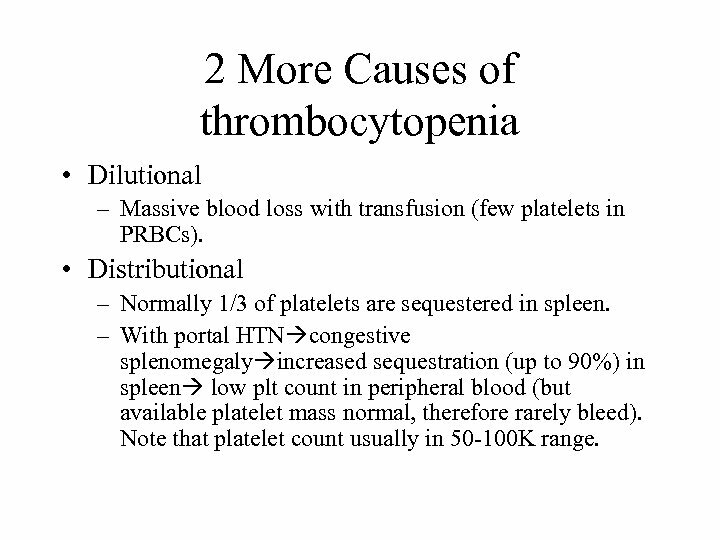 2 More Causes of thrombocytopenia • Dilutional – Massive blood loss with transfusion (few platelets in PRBCs). 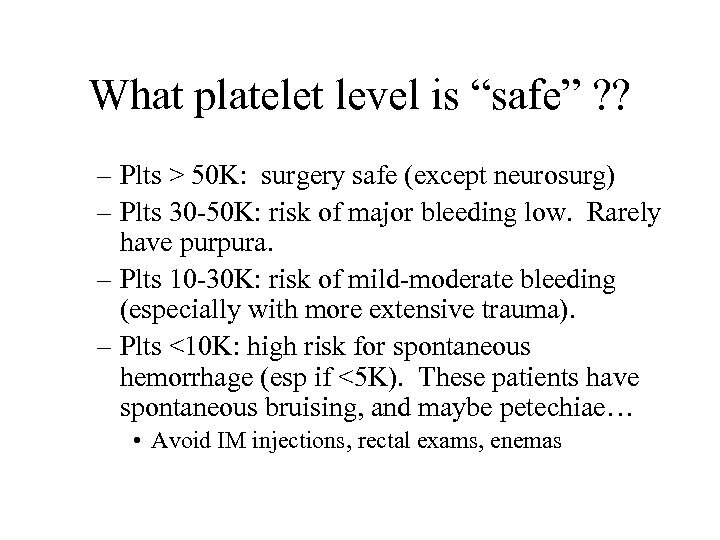 • Distributional – Normally 1/3 of platelets are sequestered in spleen. 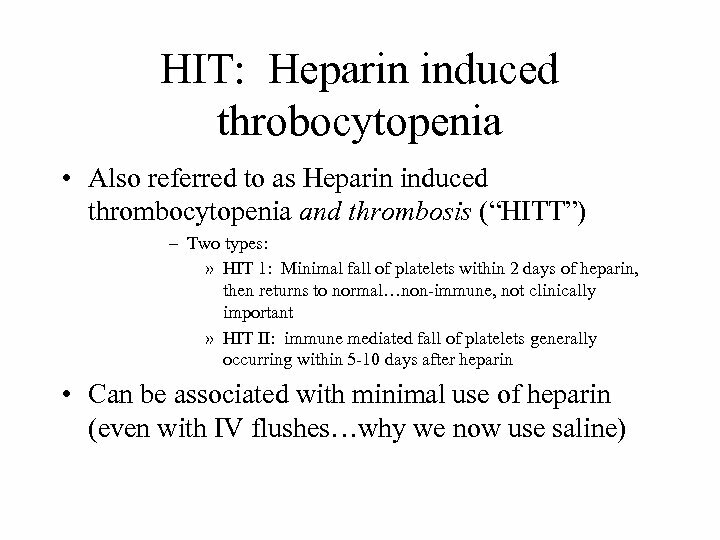 – With portal HTN congestive splenomegaly increased sequestration (up to 90%) in spleen low plt count in peripheral blood (but available platelet mass normal, therefore rarely bleed). 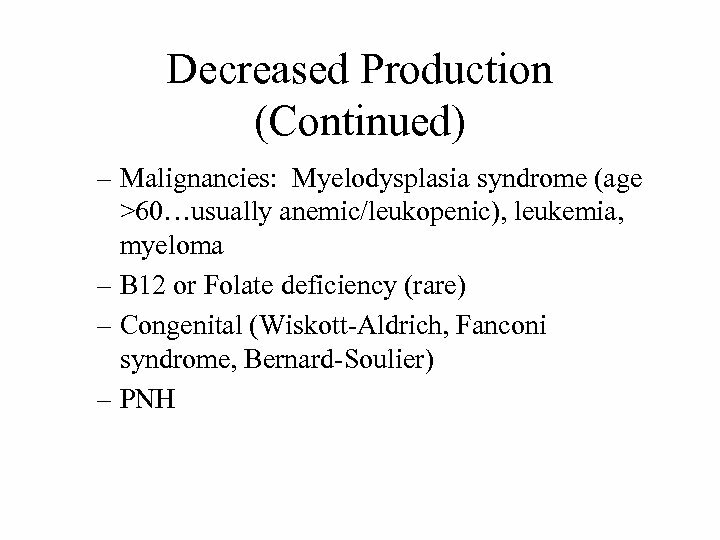 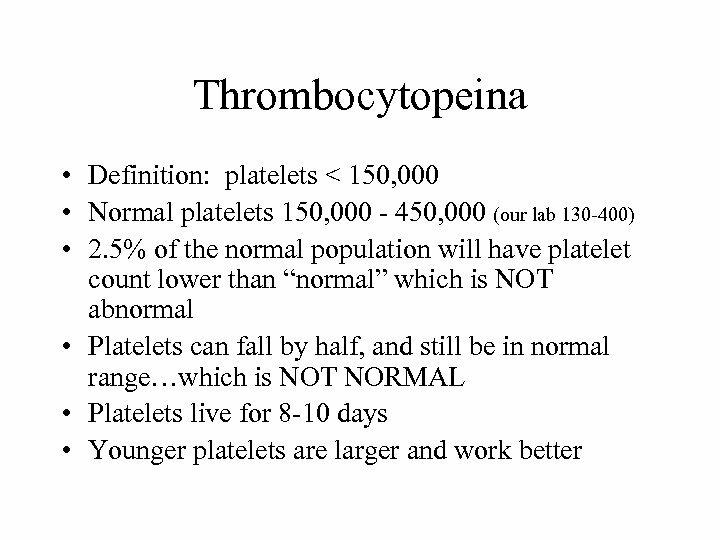 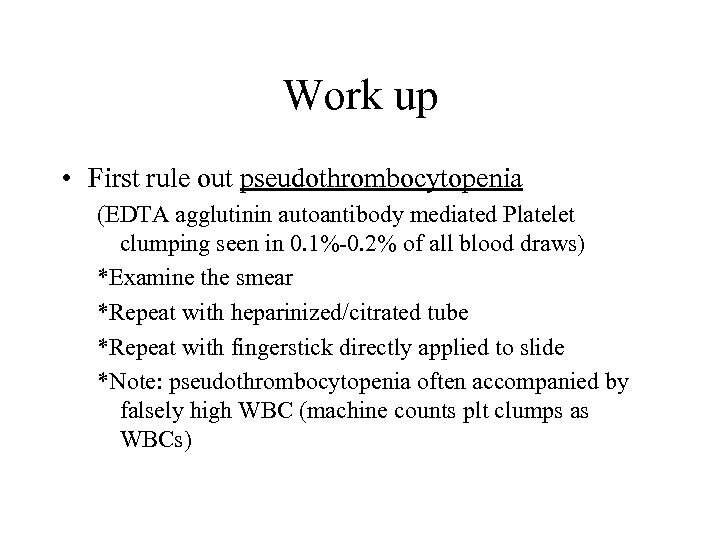 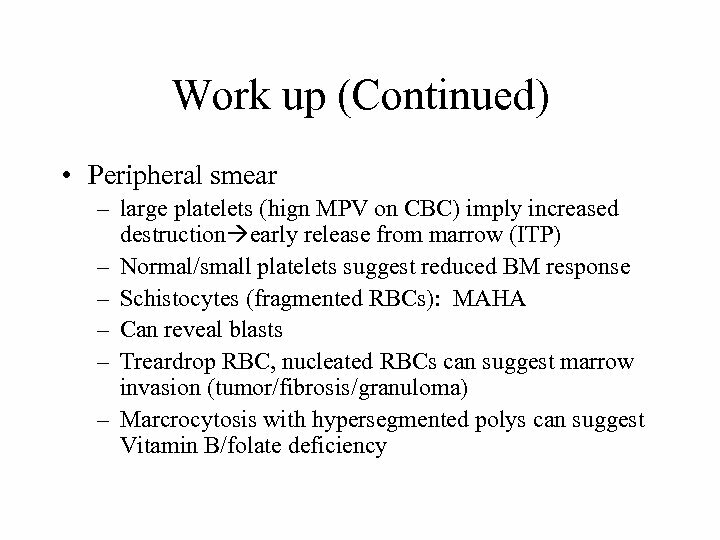 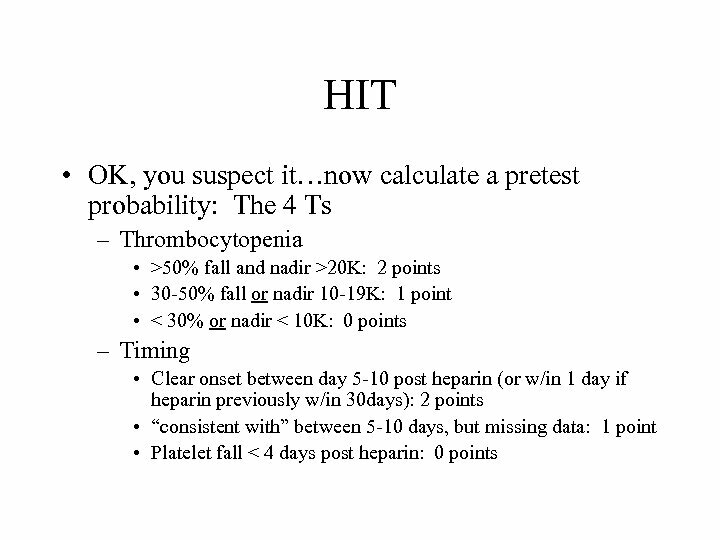 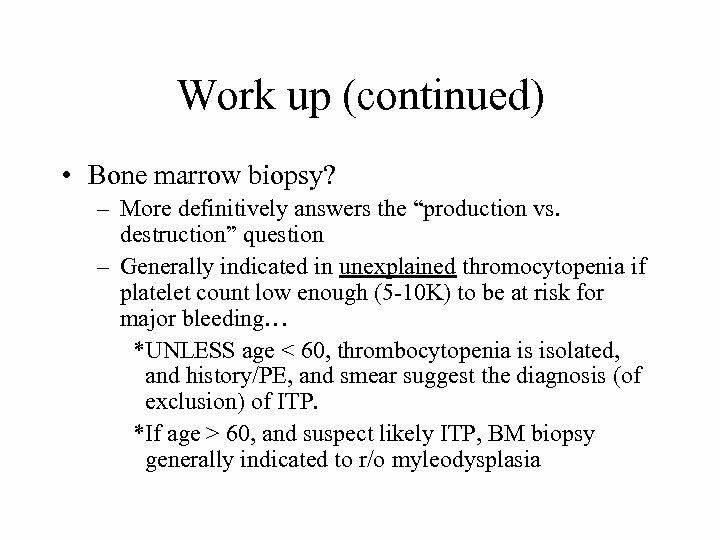 Note that platelet count usually in 50 -100 K range.